A few months back 1-year-old Ansh had been diagnosed with Trilateral Retinoblastoma which is a form of eye cancer. Trilateral Retinoblastoma is a malignant cancerous tumor in the eye which needs to be treated on an urgent basis in order to increase the patient's survival rates. 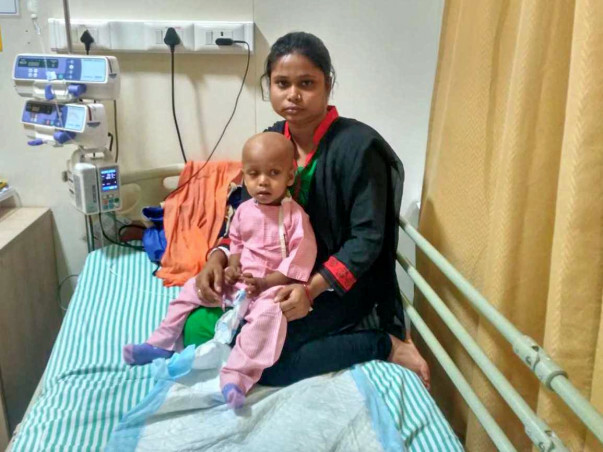 Ansh has already been asked to begin chemotherapy to avoid any form of delay in the treatment. He needs to undergo multiple sessions of chemotherapy in order to become receptive to the treatment. 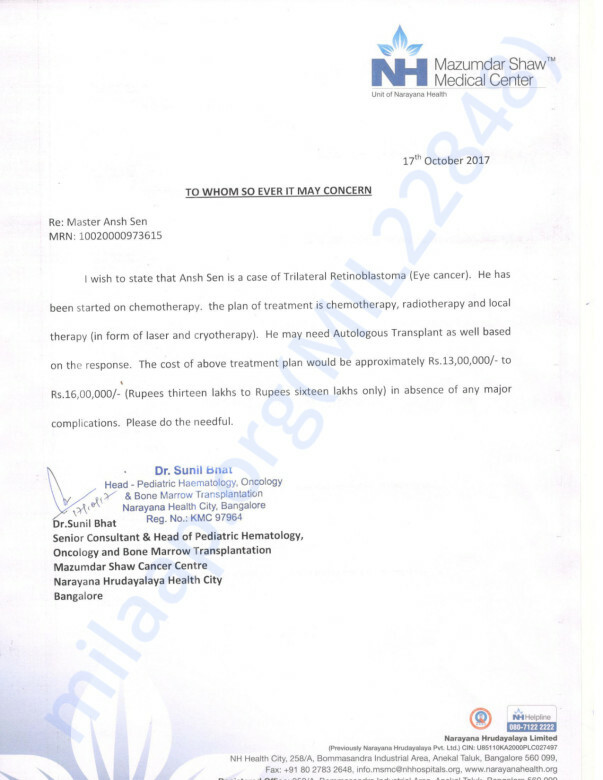 The overall cost of chemotherapy and treatment amounts to around 13 - 16 lakh Rs. Unfortunately, Ansh's father, Bapan, earns only 5000 Rs a month and does not have the funds required to spend on his son's treatment. Bapan is completely shattered seeing his son's condition and is not yet ready to lose his son who has not even started school. 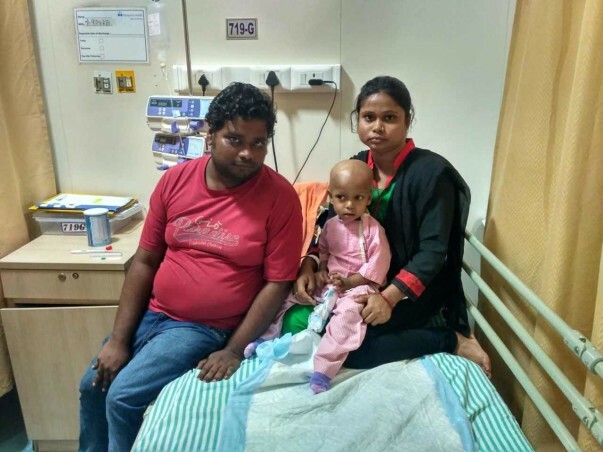 Your contribution can save Ansh's life and give him the treatment he deserves. May God bless child to recover soon and give his parents strength to handle the situation.